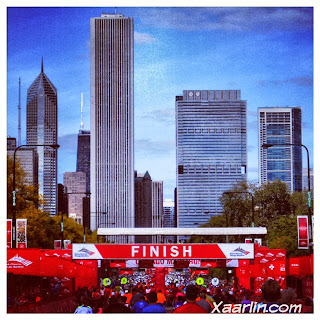 This Sunday is my 3rd Chicago marathon and I'm just as excited for this one as I was for my first. 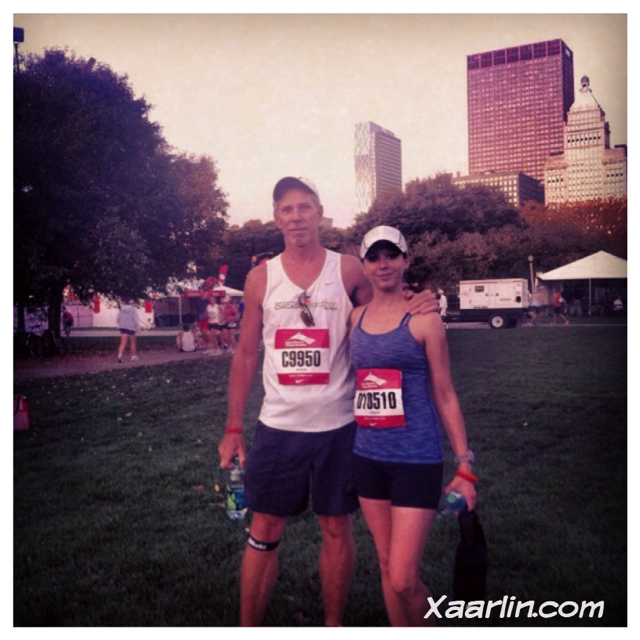 In 2011, I ran the Chicago marathon for the first time with my Daad. 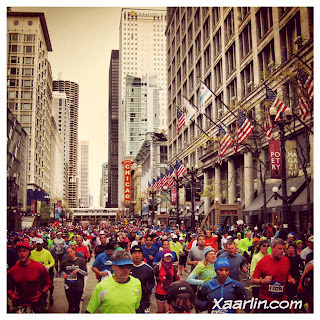 I remember being blown away by all the spectators and the "moving city" of runners as it made its way through the streets of Chicago and all its neighborhoods. 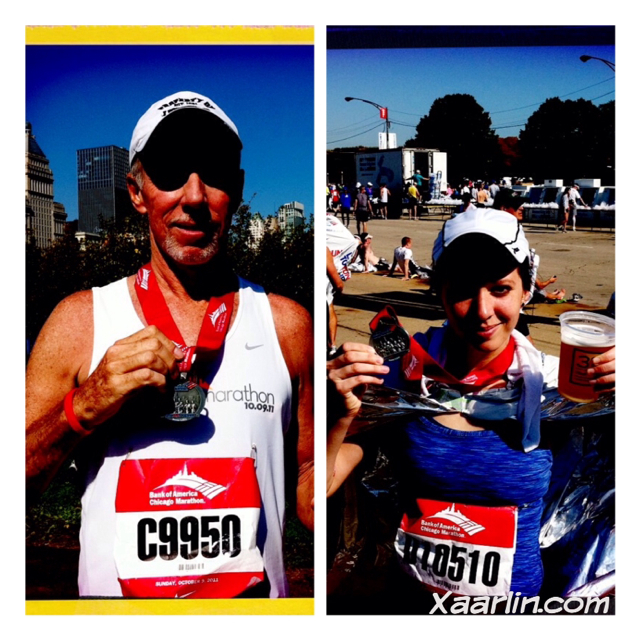 My Daad and I still talk about that race in 2011- it was his last marathon before his knee forced him to retire from running. 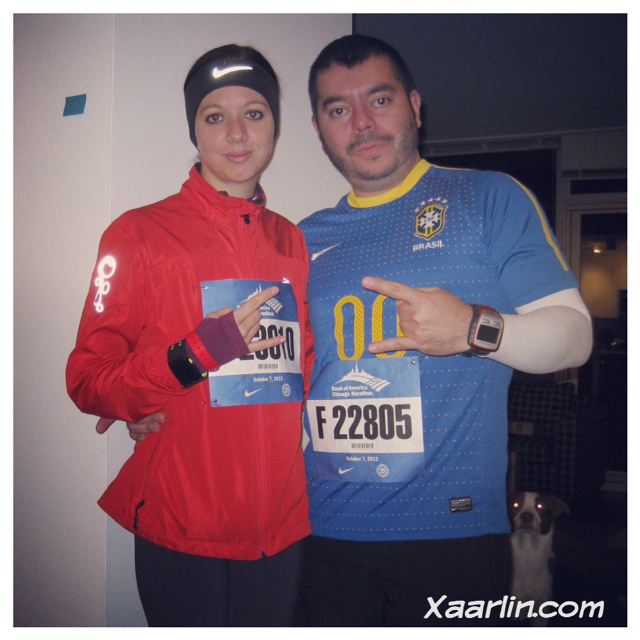 In 2012, my L decided to run his first marathon, so it was a no brainer that I would be by his side every step of the way. 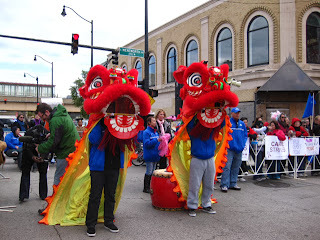 We had some setbacks that day but also had a lot of fun together. looking back on state st. 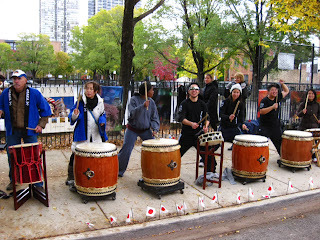 I haven't ever ran with music for the Chicago Marathon because there's so much to look at enjoy along the course. 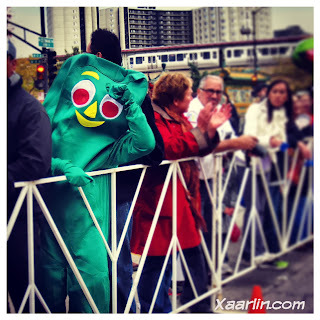 The smells of chocolate in the loop, all the crazy spectator signs, and being in a huge crowd of runners going through all the distinct neighborhoods of Chicago is stimulating enough. I love how distinct the neighborhoods are. 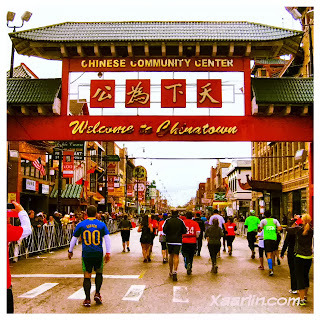 From Boystown to Pilsen to Chinatown, each area has it's own unique way to celebrate the marathon. 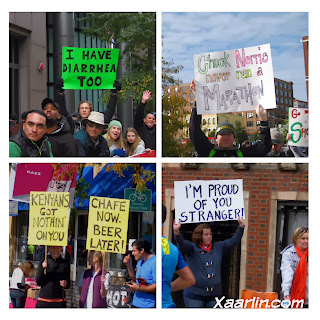 I love how people celebrate this race. There's rarely a dull moment on the course. 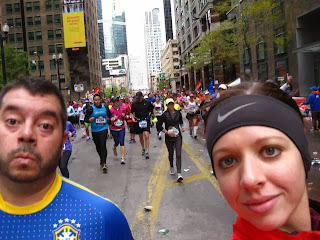 I'm so freaking excited to run the streets of Chicago again with L, and 45000 other runners and experience the sights and smells of this town I call home. Love all of the pictures. 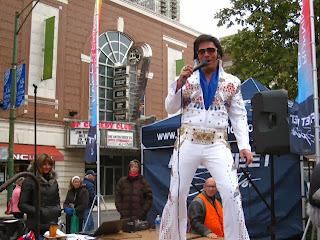 They are getting me pumped for the race. 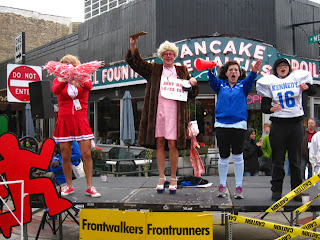 I will have to look for the Hash House Harriers beer sign. 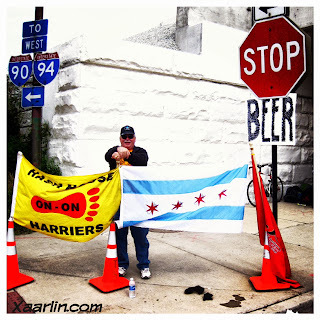 Depending on how my race goes, I might just stop and kick back at that point and enjoy a beer (or two)! Good luck to you too!